Reading progress update: I've read 68 out of 275 pages. Alberto Sordi is a well-known Italian actor from the "movies era" of the great Italian comedy (1950-70 approximately). When it was still good, not cheap, vulgar and spent like now. 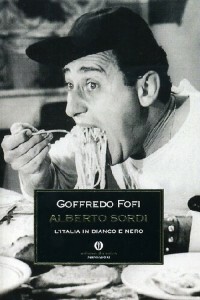 He was also in the first works of Federico Fellini (one of my favorite directors), "The White Sheik" and "I Vitelloni". What a coincidence: the author has quoted a little television performance which I saw some days ago in a program, Techetecheté. It is a sort of brief recycling themed playlist of the Italian television. Because yes, our main channel is always remembering the Golden Era instead of modernizing itself and inventing something new. I have not found a brief extract from the performance but the entire song (Carcerato), which clearly is useless to post here. He makes a lot of Italian references and it's a bit difficult to translate in English because the song is rhymed. But in the performance he hugs at the beginning Mina. Maybe you already know her. Truth to be told, I don't know if she is well-known out of Italy. Here she's an immortal singer. She has an amazing voice, if some of you are interested in foreign music you should definitely search some of her songs on Youtube. I love this one, Città vuota means Empty City. If you don't come back. How do you want to live alone, without me? Don't you feel that our love is not over yet? And the city will not be empty any more.